As a home entrepreneur and a husband of a stay at home mom, I totally understand how stay at home mom depression and unorganized routine feel like. Your stay at home wife is used to have all the time in the world to meet friends, do home stuff, browse social media or watch TV all day long. Sometimes she gets bored, but she had the freedom to do anything she wants. Now, and after the joy of delivering your new-born to life she doesn’t get bored as much, but she really feels lonely and depressed. Because not before your new-born starts to talk to her in a sane conversation, she will keep feeling distant and isolated from all the fun and people she was used to enjoy her time with. My sweetheart was a stay at home wife who recently became a stay at home mom, she got used to staying at home but yet she felt more isolated after giving birth to Rayan. She was fulfilling his needs all the time, and even when he was asleep she was organizing and cleaning the house, preparing dinner or even falls a sleep from exhaustion. We used to chat or watch an episode of a TV show we enjoy, but these days we can’t keep watching without interruptions from the little Rayan. He needs to be fed, diaper changed and carried around the house to feel relaxed and go back to sleep. So, if there is no work, now one of us cares about Rayan and the other takes a break, alone. Previously, when a friend calls she used to pick up the phone immediately and keep chatting with her for hours without getting bored, very weird from men’s perspective, however she enjoyed it and never felt lonely. Now, she keeps ignoring calls because she can’t handle anymore nonsense or hearing other people’s problems, people who don’t share the interests or responsibilities that she now has. As you can see, I keep listing the issues that leads a stay at home mom to feel lonely. But here are some tips to solve this for your wife. Help your wife to find other stay at home moms, with babies, or children in the same age group. She will be able to share common interests and will nearly have the same schedules. She can attend classes in her free time with them. Visit each others for breakfast or a morning movie gathering at home. Or even go to the supermarket together to shop for grocery. Another option is to join social media groups for moms only. Interacting with people who have common interests like her and sharing tips or even funny mom stuff can greatly help in reducing loneliness. So, it is tempting for anybody without a day job, to wake up late in the afternoon or later. However, by doing this, she is wasting the most precious time of the day. In the morning her brain has energy for creativity, and complicated tasks. And she can get things done easily at that time of the day. On the other hand, waking up late makes her brain distracted and less productive. So, even if she will get one or many afternoon naps, she needs to do her best to enjoy morning time, and make the most benefit out of it. Once she wakes up early, it is better to start with a quick shower. Then, do some stretching or meditate. And then make sure to eat a healthy breakfast. Preparing for her day early, helps her feel fresh and energized. TV addiction is common among all of us. Even if we mute the sound, and just watch flashing images. It makes us feel lonely. I know people whom their only friends are TV hosts. Of course they don’t know them in person, but they enjoy their company through a TV talk show and feel more lonely when the host has a day off or something. If your wife falls in this TV addiction trap, she fuels the depression and loneliness. Instead help her to make a habit of only watching TV when there is something worthy to watch, and turn off the TV when there is nothing important. Reading a book, or enjoying the view from the window. At least she will see real people or even animals as a change. One of the main issues that causes loneliness is losing control of the day. She wakes up without a purpose and sleeps without accomplishing meaningful things that make her happy. 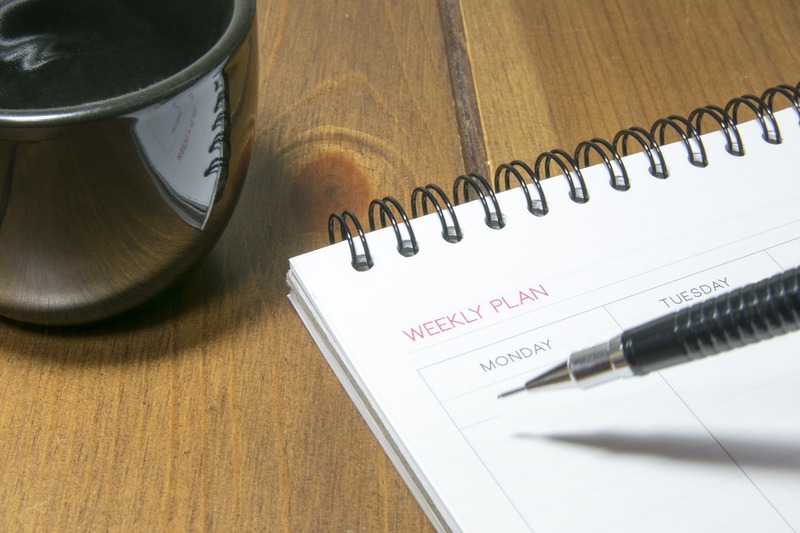 She needs to schedule her week, so she can feel self-satisfaction by getting things done. And keep herself busy but in a productive way, to avoid too much empty time that leads to depression. The schedule she need to create is for herself, to make the things she needs to do to reach her goals and enjoy her life. And this is different from the schedule of her kids. Your wife’s time is not less important than the time of an employee in a full-time job. The only difference is that full-time job employees have their time automatically organized, they have a reserved time block from 9am to 5pm every work day. The time of a mom and her whole life become under the mercy of her children. And as long as the children’s life is not organized, her life will also be. Which leads to boring, messy and uncontrolled routine. So, what if there are no children? Good question! Without children her life as a housewife will be even more messy. She wakes up anytime, there is no specific system or goal. Her life is an endless loop of random tasks with no clear goal. Being unorganized is a huge burden and a source of negative energy, don’t let this control your wife’s life. In order to solve this problem, I will give you some tips to help her with. Ask your wife to write all the main tasks in time slots or blocks. However, you might say “She already knows her routine, why should she write it down?”. When she writes her routine down in a notebook for example, she will relief a big area of her mind. She will not need to try remembering what she needs to do every time she has to. She will avoid wasting time in low energy days, when she feels less motivated. Because she will just check her tasks, and proceed without much thinking. Some tasks are not easy to form as a routine, because they are not time specific, or she doesn’t know exactly when she can do them. Those tasks and goals are better to be put in a list, so she can check them often and complete them someday. When she writes the routine or the list, she needs to consider starting with the most complex tasks first. Never postpone the complex tasks till the end of the day. She needs to organize her day into specific blocks of time. A time block of 15 minutes, 30 minutes or an hour. Then, assign each block or a series of blocks to specific tasks. It is a time management technique to efficiently use your time. You work on a specific task for 25 minutes, then take a short break for 5 minutes. Then you resume work for 25 minutes, and take the short break for 5 minutes and so on. If your wife feels it is difficult to work in short 25 minutes time blocks, she can make it 1 hour work and 15 minutes break. Recent studies suggest that productivity decreases after 1 hour of focus on a specific task. Those are the tips that your wife needs to follow, to have a strong control of her time as a stay at home mom or wife. So for your stay at home wife to avoid depression, loneliness or unorganized daily routine. She needs to have full control on her schedule, include frequent communications with other stay at home wives or moms. And make sure to that she gets the most out of this important part of the day, the morning. Please share your thoughts, questions or comments in the box below.